Antonio Conte has endorsed Chelsea's decision to let 43-goal Liverpool forward Mohamed Salah, insisting he was "a different player" four years ago. Salah tormented Chelsea while playing for Swiss side Basel and moved to Stamford Bridge in January 2014. Limited opportunities saw the Egypt forward join Fiorentina on loan 12 months later, and then Roma on a temporary deal which became permanent. 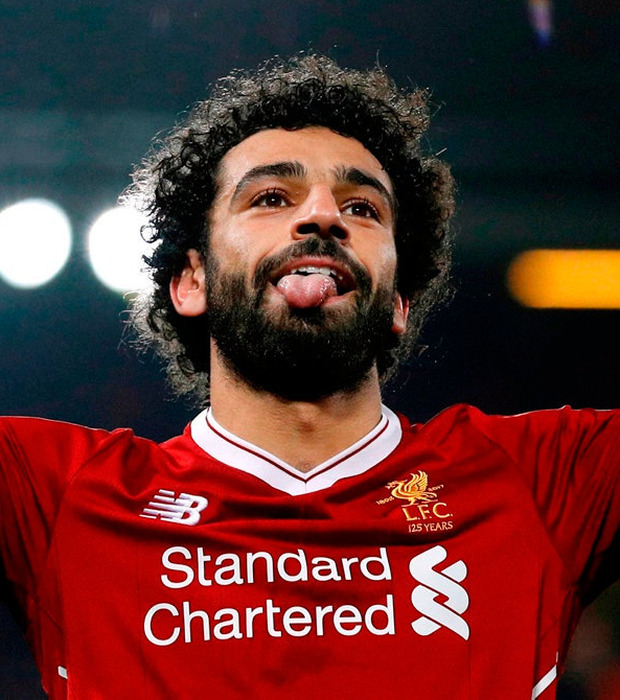 Some have used the benefit of hindsight to criticise Jose Mourinho, now at Manchester United, as Salah has been thriving for Liverpool since returning to the Premier League from Serie A last summer. "It's not so simple," Chelsea head coach Conte said. "We have to compare Salah of four, five years ago, and not with this Salah now. Salah in the present has improved a lot, he has developed his football a lot. "I think the Italy experience was very important for him and now I'm sure that he's a different player, compared to the past. For this reason it's very difficult to have this comparison." With four games to go in the Premier League season, beginning at Swansea today, Chelsea are fifth, five points behind fourth-placed Tottenham, who play Watford on Monday. Asked if it was realistic for Chelsea, who play United in next month's FA Cup final, to overhaul Spurs and clinch Champions League qualification, Conte puffed out his cheeks. "Realistic? As you know very well it won't be easy, but at the same time we must try," the Italian said. "The only way to put a bit of pressure on Tottenham is to try to get three points. Otherwise it will be very difficult. "I think the players and I, we are trying to do our best. Our best is to try to win every game. "Last season we won the Premier League, this season in the league we are struggling, we are struggling a lot." Chelsea have no fresh injury concerns, but Marcos Alonso is absent, completing his three-match suspension. The Blues are expected to make changes following the FA Cup semi-final win over Southampton, with Thibaut Courtois expected to return in goal and strikers Olivier Giroud and Alvaro Morata could be paired up front. Brazil defender David Luiz has not played since February, but could return before the end of the season. Conte said: "He's improving a lot. He had this problem in his knee, he's working very hard and I think he's aiming to come back before the final game of the season." Club captain Gary Cahill has regained his place in recent weeks, with the England defender's World Cup spot in jeopardy. Conte added: "We're talking about a player with great experience. "For sure we're talking about an important player for Chelsea and the national team."